Nail technicians in Texas must have a cosmetology license with a manicurist specialty. 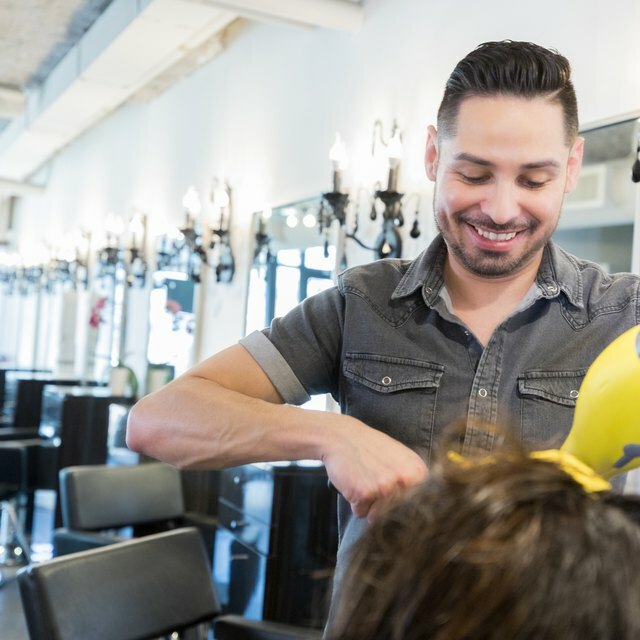 The Texas Board of Cosmetology establishes the requirements for these licenses, but the Texas Department of Licensing and Regulation (TDLR) actually grants the licenses. If you are already licensed as a nail technician in another jurisdiction, you may be able to have your license recognized in Texas by taking a TDLR licensing exam. Nail technicians in Texas are responsible for cutting, treating, cleansing and manicuring nails on clients’ hands and feet. Complete your high school education. You must have a high school diploma or GED before you apply for a manicurist specialty license. Enroll in a state-recognized nail technology program. These programs take at least 600 hours to complete and are offered at cosmetology schools. You can find a tool with which you can search for licensed cosmetology schools on the TDLR website (see Resources). Apply for a Texas Cosmetology Student Permit. Once you have enrolled in a cosmetology school, you must get a Texas Cosmetology Student Permit. You can download and print this application from the TDLR website (see Resources). The permit fee is $25 and you must submit your application to the TDLR. Complete your nail technology program. Get your manicurist specialty license. You will apply for your license through your cosmetology school as you complete your state-approved program. If you successfully complete your program and pass your exams, you will be granted a Texas cosmetology license with a manicurist specialty. Consult your school to get an application form.